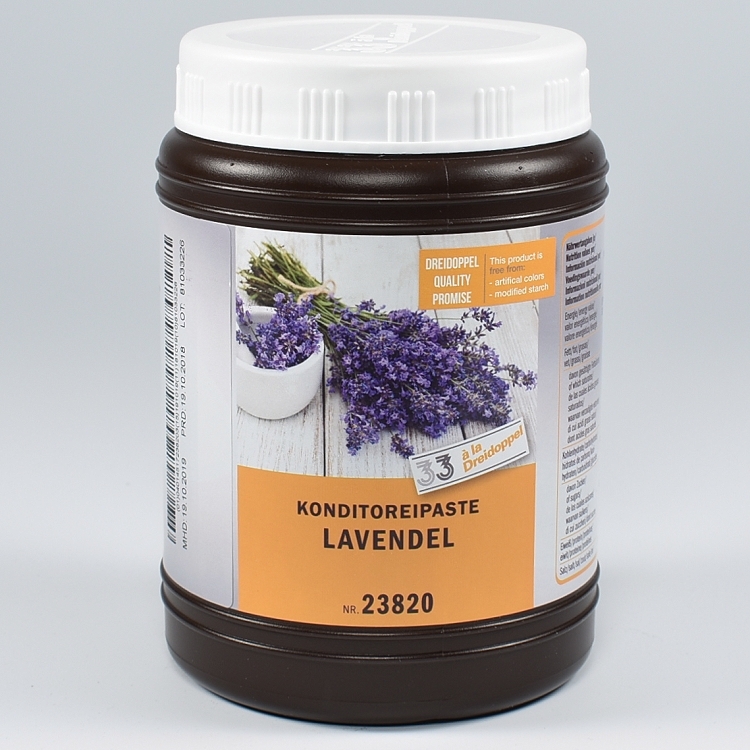 Dreidoppel Flavoring Pastes are the finest bakery flavorings available. • Always available and "in season". 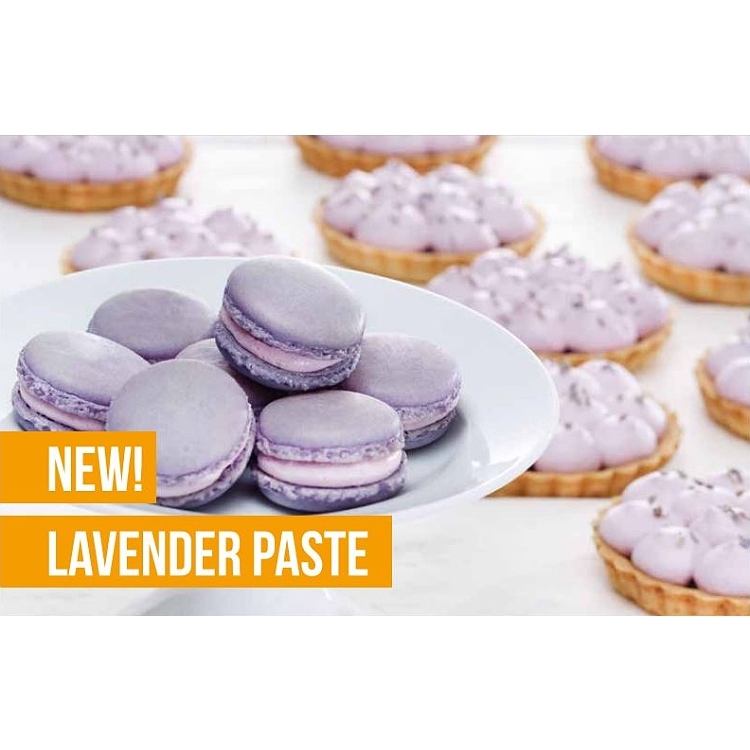 LAVENDER - typical aromatic lavender flavor with spicy, floral and perfumistic notes. Slightly-purple color when applied in cream. Packaged in a resealable plastic "wide-mouth" container.